About the book: Twelve hours, thirty-six questions, and a chance to fall in love… It’s the last day of Dorothy Patmont’s family vacation. Soon, she must head back to Reno, where all that waits for her is the cold and the snow. To top it all off, her brother, Chester, acted like a little jerk and ate one too many cookies from the sample jar in the cookie store. But his antics have an unexpected benefit-attracting the attention of an intriguing boy who could change her life forever. Treats can be sweet, but love is sweeter still… Arash Atkinson, fluent in four languages and an adventurous soul, is in Waikiki for a high school band competition. When he meets Dorothy, he realizes their time together is limited. “Come out and play,” he texts her. A night of romantic adventure ensues, and Arash discovers an app that claims it can make people fall in love after answering thirty-six questions in each other’s presence. With each question asked, their stories and feelings continue to unfold. But with every hour that passes they’re more at risk of being found out-Dorothy, by her parents, and Arash by his school chaperone. And then Arash gets the dreaded phone call-he has been discovered missing from his room, and must return immediately. Can they finish the questions before facing their consequences? When time is running out, true love cannot wait. 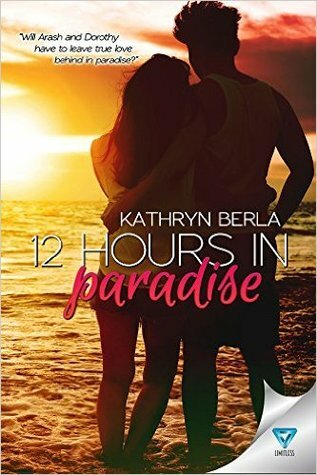 What Arash and Dorothy have is beyond special, something that comes along once in a lifetime, and begins with Twelve Hours In Paradise…but can it survive the trials of the real world?